Hand Built Wheel, with 1300w BMC hub motor, Sapim Strong spokes, and Velocity Cliffhanger rim. 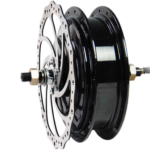 We choose to carry these front geared hub motors because they are torquey, efficient, and powerful. Running at 1300 watts, these motors are geared, meaning the motor is spinning faster than the wheel through a planetary reduction gear. 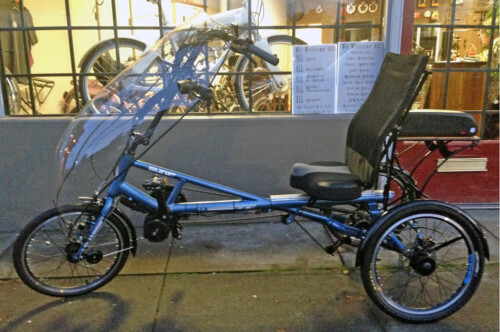 There is also a clutch mechanism that allows the wheel to turn without engaging resistance from the magnetism of the motor, when you ride under your own power alone it isnt any harder than riding a regular bike. Front motors are the way to go if you wish to retain your bikes high quality drivetrain. Most rear motors available are restricted to a 6 or 7 speed cluster in the rear, which would mean finding shifters and setting your bike up with less than optimal gearing. 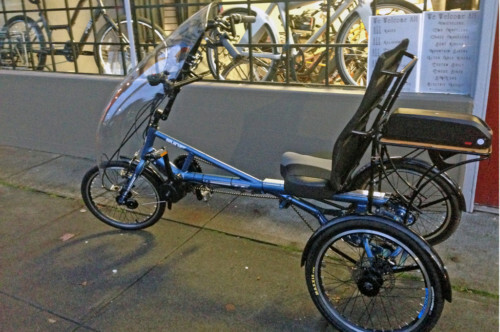 By using this front motor, you can run your 9 or 10 speed cassette, or internal hub, and still have the benefits of strong, durable electric assist. 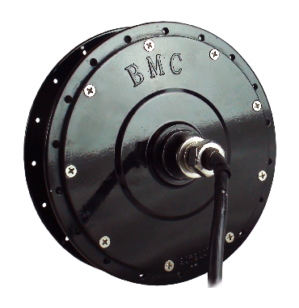 BMC is a quality motor maker, the Brushless Motor Corporation. They make these hub motors, along with motors for everything from lawnmowers to aerospace, at their Thane, Mumbai (India) manufacturing facility. With a stated interest of “… a cleaner environment for our life on Planet Earth.”, and with 10 years of personal experience working with them, we are more than happy to provide this motorized bike hub to you. 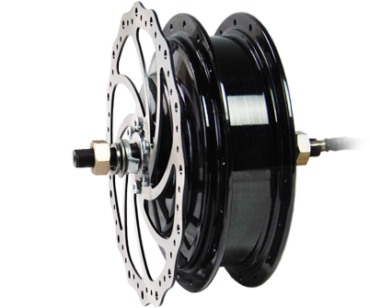 With a good reputation for performance, we like to offer these great motors paired with quality USA made Phil Wood spokes and Velocity rims. When it comes to bike wheels of any kind, a carefully hand laced, hand trued, and hand tensioned wheel will ride better, outperform, and outlast anything built by machine. 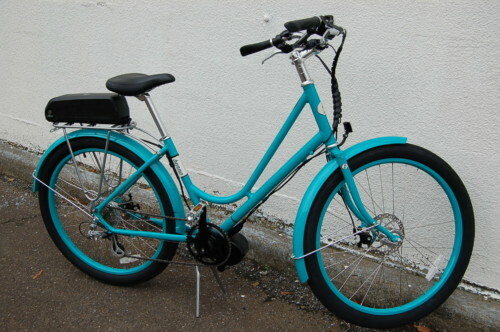 Please call us with what kind of bike your putting this on and what kind of riding your doing and we will tailor the wheelbuild for you, with options in spoke widths and rim profiles. Also, to round out the package, now would be a great time to replace your rear wheel to match. 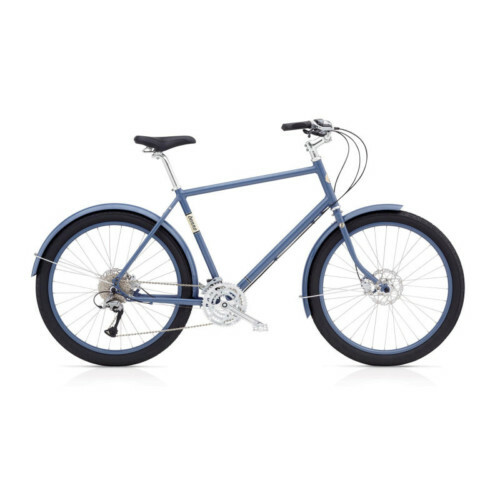 If your looking to build out your bike we can build a matching front and rear set, a good opportunity to switch to an internal hub, do something custom with colored spokes, or to have disc brake hubs front and back.